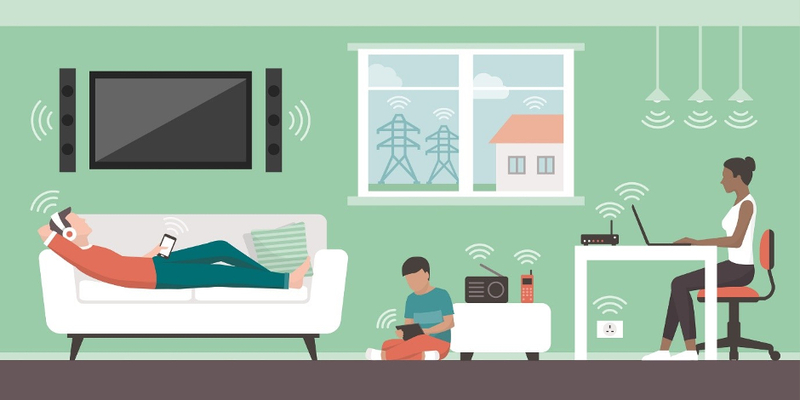 A new project dubbed OPERA will investigate whether WiFi signals can be reused as a medical radar system to monitor for health anomalies in the home. The research, led by Bristol University, is part of a new £1.5m grant awarded by the EPSRC, Toshiba and Decawave to the OPERA project, a consortium including the universities of Bristol and Oxford, University College London and Coventry University. Starting in October 2018, the three-year project will extend the current SPHERE (Sensor Platform for HEalthcare in a Residential Environment) project, which is developing sensors to identify health and wellbeing anomalies in the home. Both projects run until 2021. A person’s physical activity and patterns of behaviour play a significant role in health conditions including diabetes, dementia, depression, chronic obstructive pulmonary disease, arthritis and asthma. Britain currently spends 70 per cent of its health and social care budget on these types of conditions. According to Bristol University, long-term physical activity and behaviour monitoring is best collected at home, where it is possible to install personalised sensor platforms and where people from high-risk groups often spend most of their time. The newly funded project will attempt to build a complementary sensing platform by reusing technologies that exist in many households. The OPERA (Opportunistic Passive Radar for Non-Cooperative Contextual Sensing) system will be built around passive sensing technology: a receiver-only radar network that detects the reflections of ambient radio-frequency signals from people. These so-called illumination signals are transmitted from household WiFi access points and wireless-enabled devices. OPERA will also use the latest advances in micro-Doppler radar signal processing, biomechanical modelling and machine/deep learning for automatic recognition of physical activities and provide indoor localisation capabilities. physical activity and patterns of behaviour play a significant role in health conditions including diabetes, dementia, depression, chronic obstructive pulmonary disease, arthritis and asthma. Britain currently spends 70 per cent of its health and social care budget on these types of conditions. Finally, two ‘sets’ of civil servants (those who have jealously guarded their respective patches -Health and Social for decades) have recognised (perhaps they were forced into it…) that these two pivotal aspects to ‘later’ life are intimately related and complimentary. Just like CP Snow’s “the two cultures” -the Arts and Sciences- essential that an educated person should have an understanding of both. I await the amalgamation and the subsequent and consequent savings to the public purse. That will probably pay for the increased ambulance chasing litigation which will be the inevitable result. £1.5 million? the lawyers will use that up in a week! That is plain scary. Any savings from the health system would be used by the analysts of “Cambridge analytica” and the likes. Add to the mix the convenient fitness armband with pulls and breathe frequency measurement. Then the dream of “Stasi” will come true: we know what your TV is showing, we know if you are actually watching it and we know your reaction to the seen ….